Protected: The Final Bloom Results! Protected: I am a red raider! Imagine the situations you put yourself in online suddenly became reality. Imagine if your social media was real. You enter into a room. It’s a large room full of hundreds of familiar faces; faces of people you recognize, but people with blemishes, and imperfections. They all look different than they do in their profiles. And so do you. You find yourself on stage insecure because of your flaws and self conscience because these people do not know you, but they know where you go and what you do. There are nearly 1,000 people here, all staring at you. These are people you met at camp and haven’t seen in months, people from your middle school, people you met on summer trips, and people who you pass in the school hallway. But these are all people who are not directly involved in your life. These people are interested in your life but don’t know you. They are staring at you while you are on stage. These people do not know your feelings or emotions; they have never seen you cry. These people have only seen your life reflected in snapshots. Pretty photos carefully edited and cleverly captioned. These people have only seen your highest moments. You realize the crowd is made up of all of your online followers. You begin to feel uncomfortable, standing on stage in front of the people that you pass in the hallways at school but never hang out with. One of your instagrammed photos appears enlarged on a screen behind you. It was taken last week and has a casual caption that explains very little. It’s positive and punny, so the curious people ask to hear the story behind this photo. On the night you posted the picture, the event that you attended wasn’t as exciting as you had hoped. You were bored and it was awkward. But it was your Saturday night and you were determined to show the world you were having fun with your friends and enjoying life. You look behind you at your enlarged photo, it is perfectly posed. Your make up looks good, your hair is done and your outfit is trendy. So naturally, your photo gained many comments based on how pretty you are and how cute your clothes are. A couple hundred people even tapped on your photo twice, “liking it” and making you feel important. You stand in front of your crowd of followers and admit that your Saturday night wasn’t as fun and exciting as it appeared. People around murmur, “I post like that too”… “I can relate to this story.” You realize that your followers don’t need to see another edited photo of you faking your perfect life. They do not need to see you smiling again and again. They need a breath of fresh air. Someone who is not afraid to turn it all off and get rid of these apps. You find yourself wanting to be known, really known. Standing in front of all these followers, you don’t want people to just see your life. You want people to live your life with you. You want friendships so real you don’t need to post a photo to prove that you know them. You want to hear from real people I real life who really know you: “I love you for you and who you are” rather than seeing a comment online say to you “ily girl”. At school in your classes instead of getting to know your classmates, you always just look at your phone. You don’t speak to them in person, but you creep on their twitter, while sitting only 20 feet away from them. Instead of talking in real life in the silent classroom, your eyes are glued to a screen smaller than your whole hand. You realize you don’t really know the students around you. And you are too busy looking at the top 5% of their lives they decide to post online. You see their happy smiles on instagram, their witty thoughts on twitter, and their hilarious creeper pics on snap chat stories. But you don’t know them deeply. The time wasted spending on your phone is time you could be getting to know the people in front of you. If you took a day without your social media apps, what would that be like for you real non phone socializing? You realize as much as you may deny it, a small device is running your life. You post things because you are crying out to be known, but it is impossible to be fully known without being real. You decide to try taking a step back from your online profiles and who you want people to think you are. You want to be who you are you and find out who that is without people’s likes or comments. 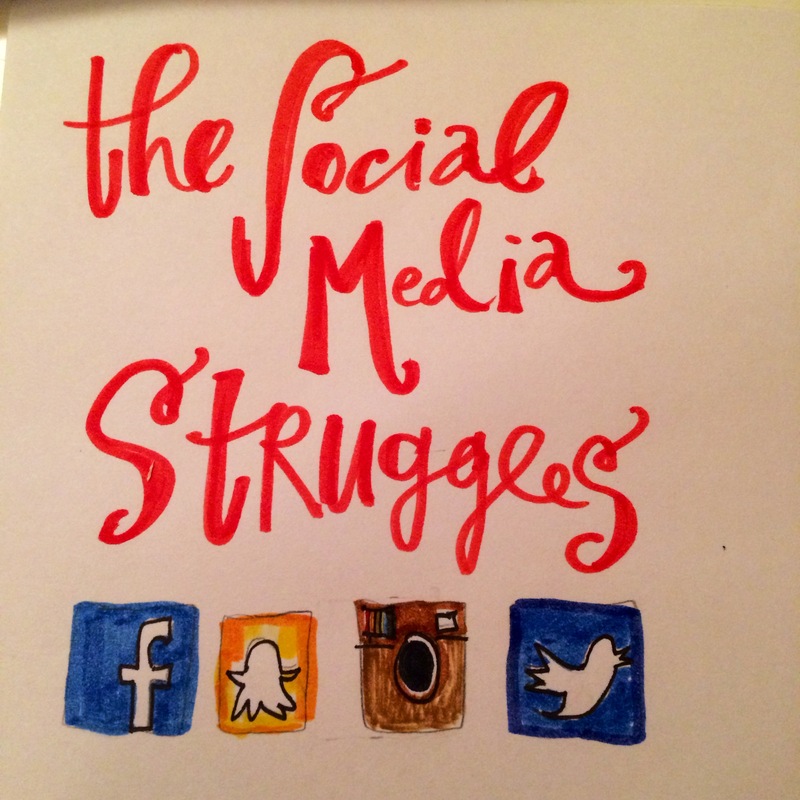 You want to take a break from social media, but you feel like you can’t. What people are craving isn’t perfection. People aren’t longing to be impressed. They’re just longing to feel loved and understood.